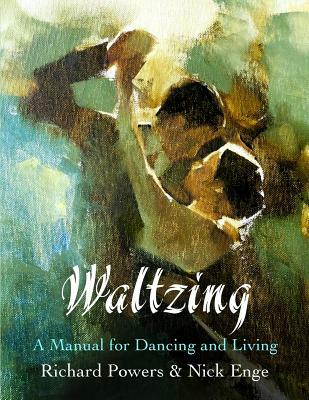 In the 85 chapters of this guidebook, you will find many ideas about waltzing, dancing, and living. Dance descriptions and tips to improve your dancing are accompanied by down-to-earth ways to find greater fulfillment in your dancing and in your life. 25 different kinds of waltz are completely described, including: cross-step waltz, Viennese waltz, box step waltz, rotary waltz, polka, schottische, redowa, mazurka, hambo, zwiefacher, and more. In addition, you will find 85 waltz variations completely described, and a concise compendium of an additional hundred variations, accompanied by 50 illustrations of waltzing through the ages. Then beyond waltzing, much of this book applies to all forms of social ballroom dancing. You'll learn how you can be a better dance partner, how to develop your style and musicality, how to improvise more confidently, how to learn new dances by observation, and how to create your own social dance variations. You'll also learn about the many ways that the practice of social dancing can enrich our lives. Drawing on the latest research in social psychology, Waltzing includes chapters on the essential benefits of: music, physical activity, connection, play, mindfulness, acceptance, conditional learning, and many other topics. Richard Powers is a social dance instructor and historian at Stanford University's Dance Division. Richard's focus since 1975 has been the research and reconstruction of American and European social dance forms, working from a personal collection of over a thousand historic dance manuals. Richard became a full-time instructor at Stanford University's Dance Division, joining the faculty in 1992. He was selected by the Centennial Issue of Stanford Magazine as one of Stanford University's most notable graduates of its first century, and was awarded the Lloyd W. Dinkelspiel Award for distinctive and exceptional contributions to education at Stanford University. Richard has choreographed for dozens of stage productions, including Broadway and off-Broadway, and for films and television. He has taught over five hundred dance workshops across the U.S. and abroad. Nick Enge graduated from Stanford University with a bachelors in Atmosphere/Energy Engineering and a masters in Earth Systems. At Stanford, in addition to his ecological interests, he developed a passion for social dancing, psychology, and writing. Over the past five years, Nick has served as a course developer and teaching assistant for more than twenty-five iterations of ten different courses at Stanford, including Valuescience, Public Speaking, Electric Automobiles and Aircraft, and Energy Efficient Buildings. Although he only began taking Richard's social dance classes in 2011, he is now a frequent instructor at Friday Night Waltz, and a substitute teacher for Richard when he travels. Nick served as a chair of Stanford's 36th Annual Viennese Ball in 2013, and is currently a choreographer for the Opening waltz and polka for the 37th Annual Viennese Ball.